We are close to that time again where A-list personalities, celebrities, art fanatics will be assembled under one roof (and tent) for the annual pilgrimage to Hong Kong. Art Basel Hong Kong and Art Central will indeed be the talk of the town, yet what will be the most on gallerists’ and media’s mind will be the extravagant art sales. The months of October to December 2014 saw fruitful purchases by many renowned collectors. To prepare for March’s events, Larry’s List went back in time and fished out the recent acquisitions made by celebrity art collectors. Tom Ford. Photo ©Wall Street Journal. The internationally acclaimed fashion designer and longtime art collector Tom Ford, has recently acquired pieces by LA-based artists such as abstract painter Mark Bradford, sculptor Aaron Curry and Elliott Hundley. He also collects works from Andy Warhol, Reinhart, Calder, Elsworth Kelly and Sam Taylor Wood. 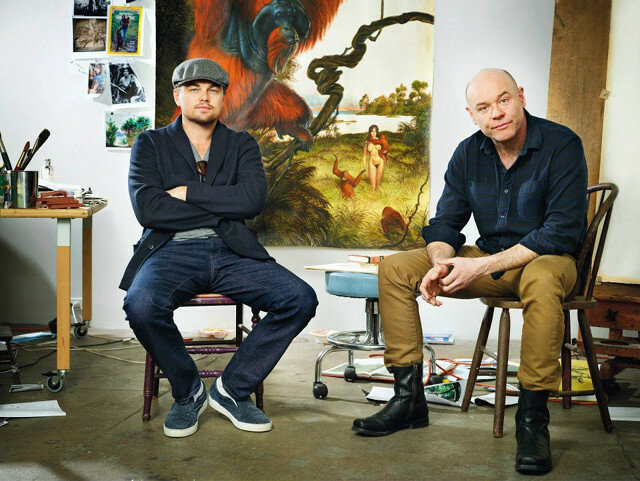 Leonardo DiCaprio with Walton Ford, one of the artists who donated works for the “11th Hour” Auction at Christie’s. Photo: Christie’s © Martin Schoeller. Nicknamed the “Wolf of Miami” by The Daily Mail, Leonardo DiCaprio spent close to US$1million at Art Basel Miami Beach last year on a 1973 Frank Stella painting. The actor has been particularly active in the artworld in the past two years from regular attendance to auctions and art openings. He was recently seen mingling with singers Mick Jagger and Elton John in February during John Currin’s art opening at Gagosian Gallery in Beverly Hills. The artists in his collection include Takashi Murakami, Jean-Michel Basquiat, Ed Ruscha, Todd Schorr and Mark Ryden. Among the many art collector celebrities who attended Art Basel Miami 2014 was rapper/producer P Diddy who also spent a significant amount of money on a Tracey Emin neon piece worth US$95,000 from Lehmann Maupin gallery. David and Victoria Beckham. Photo ©eonline. Their collection, allegedly worth US$40million according to the Mirror UK in 2010, encompasses prominent names such as Damien Hirst, Sam Taylor Wood, Tracey Emin, Banksy and Jake and Dinos Chapman. All of their owned works focus on the theme of love. Neil Patrick Harris and David Burtka with artist Kehinde WIley. Photo © The Hollywood Reporter. The newly wed couple acquired late December last year, a 2014 oil portrait by Kehinde Wiley titled “Venus Anadyomeme”, which is currently hanging in their living room of their new town house in Harlem (see The Love List – Valentine’s Special). They are both great admirers of the artist’s works and already own three of Wiley’s paintings. The couple tend to focus their attention towards “contemporary, medium-size sort of up and comers” such as Ahmed Alsoudani, Annie Lapin as well as more under-the-radar names like David Wojnarowicz. More popular names in their collection include Tony Payne, Andrew Sendor and Darina Karpov. 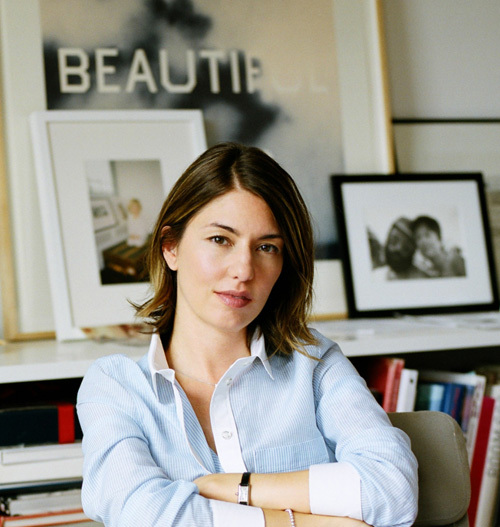 The Oscar winning film producer and director Sofia Coppola recently added an artwork to her collection by American fashion photographer Bob Richardson. The artwork in question pictures a model on a beach with a tear in her eye. Among the many artists in her collection, she owns works by Risaku Suzuki, Ed Ruscha, Elizabeth Peyton and Larry Sultan, which are two of her personal favourites. Additionally, Art + Auction stated she was also seen purchasing works from Hugo Marki, Larry Rivers, Anne-Laure Sacriste, Juergen Teller and Helmut Newton earlier last year.